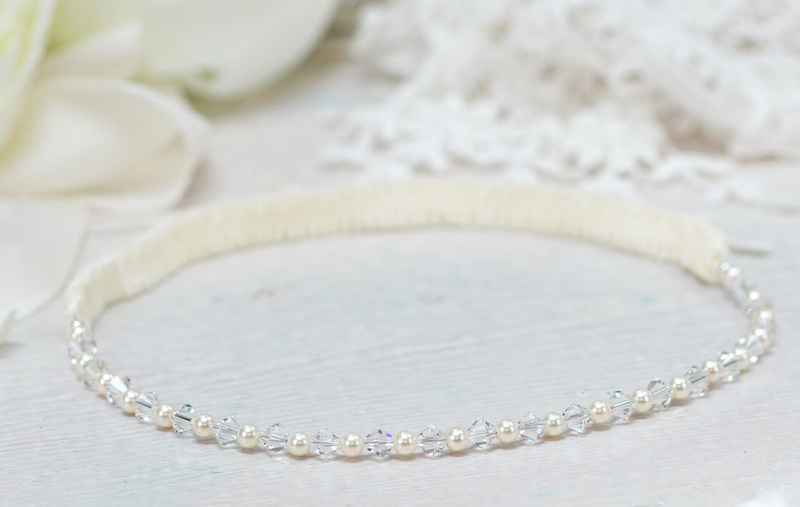 We are so excited to share with you an exclusive interview with Vivien J, a beautiful bridal accessories and jewellery designer and recommended supplier from our lovely wedding directory the B.LOVED Edit! We love the handcrafted pieces by Vivien J and her headpieces are perfect for various bridal styles from the more modern romantic bride to those with a boho chic edge! 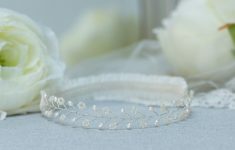 We also get to see the launch of the latest collection of bridal garters! Tell us about Viven J, what do you create? 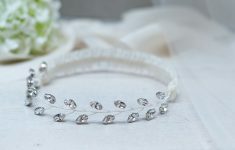 We are a family-run business located in Wiltshire, we launched the award-winning Vivien J Bridal Accessories in 2008. 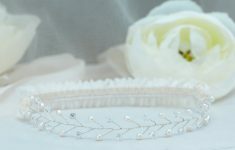 We design and handcraft stunning hair accessories, jewellery and garters from our studio, pouring our love and care into every creation and product. Our swoon-worthy collection includes headpieces, hair vines, hair pins, garters, accessories and co-ordinating jewellery ranges. We have everything you need for you and your bridal party’s aisle style and we adore being part of a bride’s wedding day! What are your favourite bridal fashion trends at the moment? 3D florals are everywhere at the moment, from wedding dresses adorned with embroidery or bridal shoes featuring extravagant appliqué. Our Blossom Garter is a modern yet very feminine piece that fits in wonderfully with this trend. 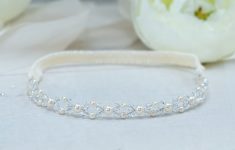 Sparkles are also set to stay in the spotlight and our Skye Garter will instantly add a touch of modern glamour to your aisle style. 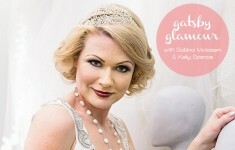 Complement the look with a pair of sparkling bridal shoes, a pair of statement earrings or shimmering bridal make-up. 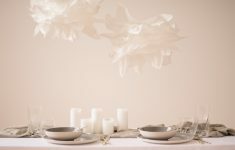 What are your favourite wedding trends right now? Big, blousy booms are making a big comeback for 2018 / 2019 weddings and we are swooning over the trend for oversized bridal bouquets and floral décor. From show-stopping centrepieces to flower walls, we can’t get enough of this gorgeous wedding trend. 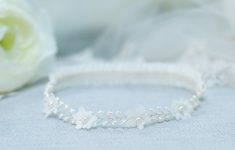 We have a number of floral-inspired wedding hair accessories and you will also spot a number of floral garters that will take your fancy. Botanical wedding themes are still very popular with couples, maintaining a minimalist vibe for truly elegant day. 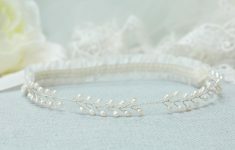 Look no further than our Fern Garter for a fabulous finishing touch to your aisle style. Understatedly elegant, it is one of our favourite pieces from the collection. What is the best advice you would give to Bride’s planning their wedding day look? Whether you’re going for a wedding day look that is ultra-glam or au natural, our best advice would be to make sure you feel like you. 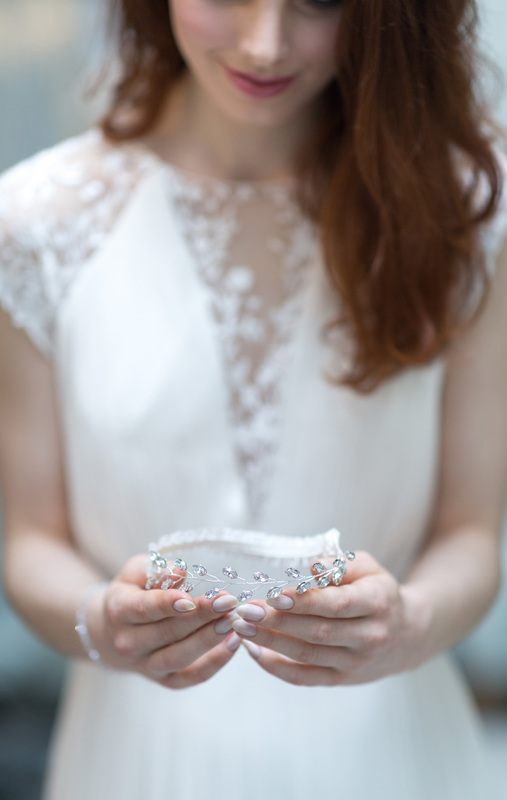 You want to feel completely confident as you walk down the aisle and if you’re wearing something that you perhaps wouldn’t usually wear, it will show! 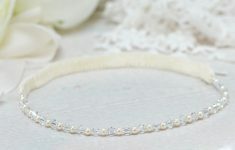 Choose something that you really can’t wait to wear on your wedding day and you’re guaranteed to feel gorgeous and that will radiate through to your wedding photographs. What is special about your pieces? How are they made? Each and every piece is completely handmade from our studio using a range of exquisite materials and an abundance of passion. 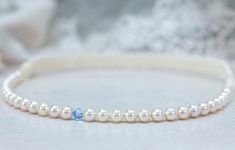 Our accessories are mainly created using freshwater pearls, Swarovski crystals and Swarovski pearls as well as a range of luxurious fabrics. A fusion of modern luxury, our accessories provide style-conscious brides with something special for their wedding celebration. 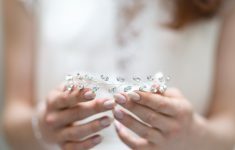 All of our accessories will arrive in a beautiful gift box tied with a pretty ribbon, packed with acid free tissue paper to ensure it is protected so that you can treasure it long after your wedding day. What is the current collection about and what inspired it? Why did you decide to start your own wedding accessories label? What do you love about it? 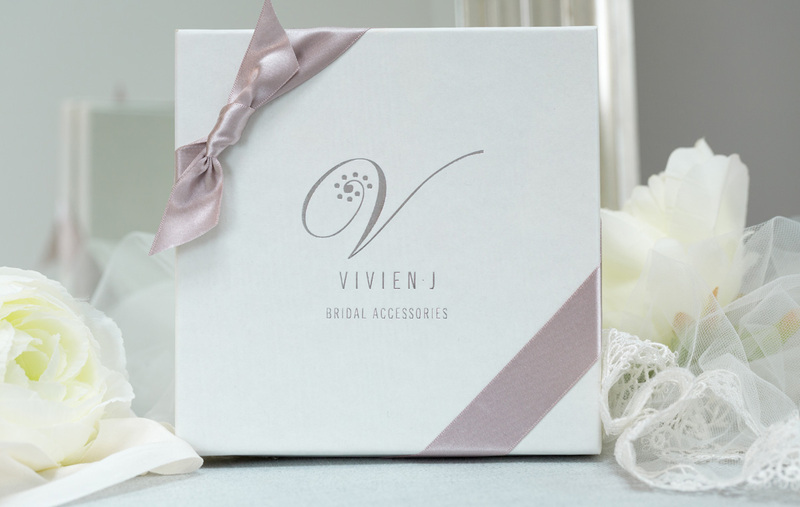 After designing and creating the wedding accessories for a close family member, Vivien J Bridal Accessories was born, and we haven’t looked back. We believe that weddings call for something that is seriously special, and we love nothing more than being a part of that. Since we first started our business, our collection has not stopped growing and we are more passionate about our brides and their weddings than ever. There is something utterly magical about being part of the wedding industry and creating accessories for brides to wear on their big day. We pour our love, care and attention into each and every piece that we create from our studio. 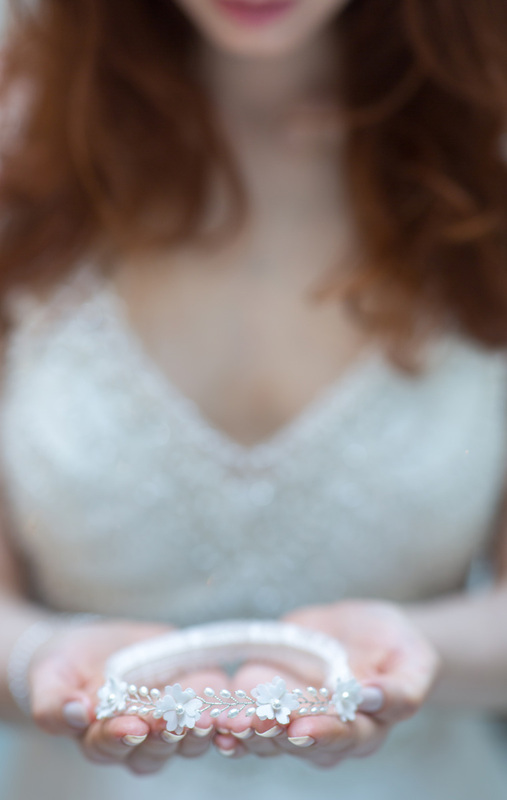 We are truly passionate about making sure our brides look and feel amazing! A dedicated mother and daughter team, we work closely with our brides to ensure that we add a touch of sparkle to their wedding planning journey. 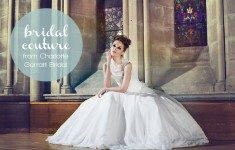 Our brides are always inspiring us and our latest collections. 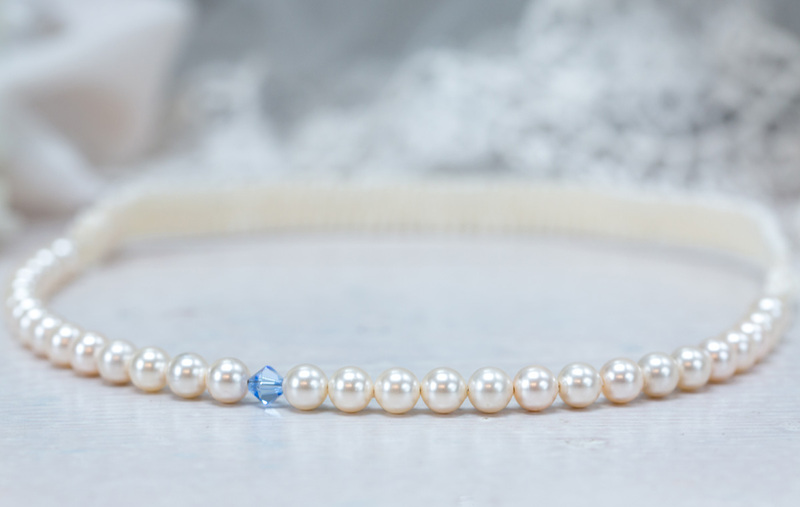 Don’t forget, if you are looking for a completely bespoke piece for your big day, we can tweak each design to make sure it is perfect for you. 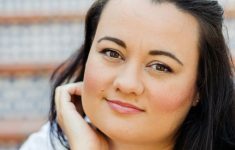 Where can brides find you? Do you have a showroom/stocked in certain boutiques? Brides can buy our collection online, so please do get in touch if you need any advice on choosing the perfect accessory, we are always here to help! You can see a selection of our collection at a number of exclusive boutiques, information can be found on our stockist page. Please note, these boutiques are by appointment only, but the lovely ladies will be more than happy to help you find the right accessories for your aisle style. See the full collection of beautiful bridal accessories at Vivien J here!